Professional physics demonstrator brings scientific 'magic' to Spokane on Saturday, April 6, 7pm at Martin Woldson Theater at The Fox. What damage can a ping pong ball do as it hurtles at 700 miles per hour through a vacuum tube? Can you see the shape of sound in a dancing flame? Oh no - it looks like that bowling ball is going to smash him in the face, but it didn't! Veteran Rutgers University physics demonstrator, Dave Maiullo, brings his scientific 'magic' from the world of physics to the stage of Martin Woldson Theater at The Fox after a long Off Broadway run in New York City and national touring. This show is interactive, with Maiullo asking for predictions from the audience before his experiments. That Physics Show is designed for all ages, from elementary school children through great-grandparents. 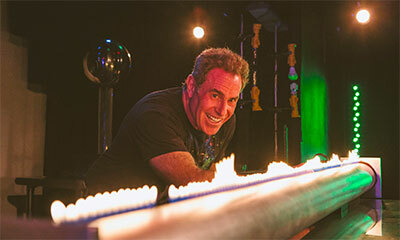 It's a show that will teach you a lot about the laws of physics, while entertaining you at the same time. If you love science, experiments and magic, this will be a memorable evening. For more information and tickets visit foxtheaterspokane.com or call 509-624-1200. The Spokane Jazz Orchestra Celebrates the Grateful Dead's Jazz Influences with the Andy Coe Band this Saturday, March 23, 7:30pm at the Bing. Tickets available at www.ticketswest.com or 800-325-SEAT. 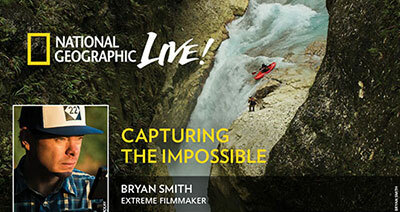 National Geographic Live Speaker Series Presents 'Capturing the Impossible' with extreme filmmaker Bryan Smith, coming to the First Interstate Center for the Arts, Wednesday, March 27 at 7pm. Smith, who explores the earth's most remote environments, shares his philosophy on adventuring with purpose, and why he believes the best expeditions are those with a healthy chance of failure. Smith has faced machete-wielding locals in Papua New Guinea, suffered frostbite during the first-ever ice climb of Niagara Falls, explored the South Pacific's deepest canyons, and scaled North America's tallest mountains, all to capture the impossible. Tickets available at www.ticketswest.com or 800-325-SEAT or wcebroadway.com or by phone at 800-325-SEAT. Celebrate Spring with the Spokane Symphony, performing Saint Saens' elegant Violin Concerto No. 3 and Bartok's popular Concerto for Orchestra. 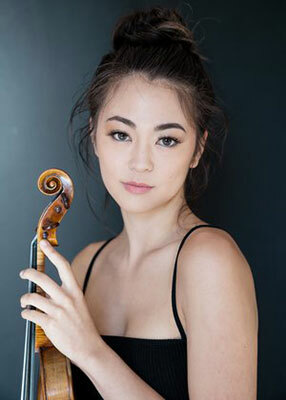 Performances are this Saturday, March 23, 8pm and Sunday, March 24, 3pm, at Martin Woldson Theater at the Fox, featuring Music Director finalist Arthur Arnold, and rising star violinist Simone Porter (pictured above) from Seattle. Meet Maestro Arnold for a Q&A one hour and 15 minutes before each performance, followed by a pre-concert talk, which is free to all ticketholders. This Friday, March 22, Sara Brown performs at Arbor Crest's Tasting Room as part of their Fireside Music Series. If you love the blues, you'll adore the music of Sara Brown. On Saturday, March 23, Isaac Walton plays acoustic folk-rock with blues roots. Music runs from 5:30-7:30 both nights. Wine, beer and food available for purchase. On Thursday, March 21, Arbor Crest is featuring a fun event, 'Train your Brain: A Wine Sensory Experience', which includes Wine Sensory Education, 3 glasses of wine, and light hors d'oeuvres. The flavor of wine 'engages more of our brain than any other human behavior,' according to Yale neuroscientist Gordon Shepherd. You can try simply reading about wine tasting. But it's much more fun and effective to learn with personal guidance from Arbor Crest's winemaking team. The Event will be at the Cliff House, 1st floor, from 5:30-7pm. Cost is $40/person; $35/Wine Club Members. Limited space is available, so reserve at arborcrest.com or call 509-927-9463. 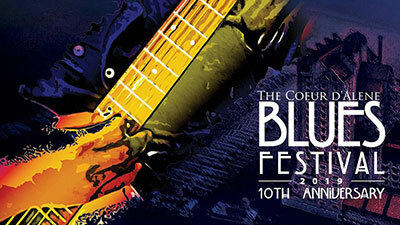 The 10th Annual Coeur d'Alene Blues Festival is next weekend, Friday-Sunday, March 29-31 at The Coeur d'Alene Resort. 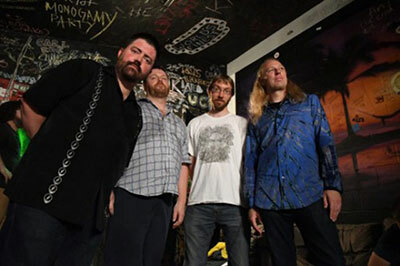 It features the best talent from local, regional and national blues artists. Go to cdaresort.com for information, tickets and room packages. Have some laughs for free every Wednesday at 7:30pm as the Spokane Comedy Club at 315 West Sprague presents Open Mic night with local up and coming standup comedians. Go to Spokanecomedyclub.com for details on all the shows. 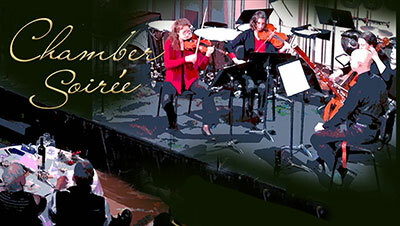 Musical elegance awaits in this up-close and personal chamber soiree evening. A mix of baroque, classical and contemporary music introduced and performed by various ensembles from the Spokane Symphony. Enjoy table seating with wine and light bites or be seated in the gallery of the Marie Antoinette Ballroom. Performances are Tuesday, March 26 and Wednesday, March 27, at The Historic Davenport Hotel, both performances at 7:30pm. Tickets available at the Box Office of Martin Woldson Theater at the Fox, or by calling 509-624-1200. They are also available at www.ticketswest.com or 800-325-SEAT. More concert information can be found at www.spokanesymphony.org.